Dr. Joshua M. Abrahams is a second generation dental medical professional. He earned an academic scholarship and his Doctor of Dental Medicine (DMD) degree from Rutgers University School of Dental Medicine in 2009. Upon graduating, Dr. Abrahams sought further knowledge in hospital based dental care and completed a General Practice Residency at the Albert Einstein College of Medicine and Jacobi Medical Center. It is here where he developed his passion for medicine and oral surgery. Before beginning his residency, he completed a one-year oral and maxillofacial surgery internship at Woodhull Medical Center in Brooklyn, NY. 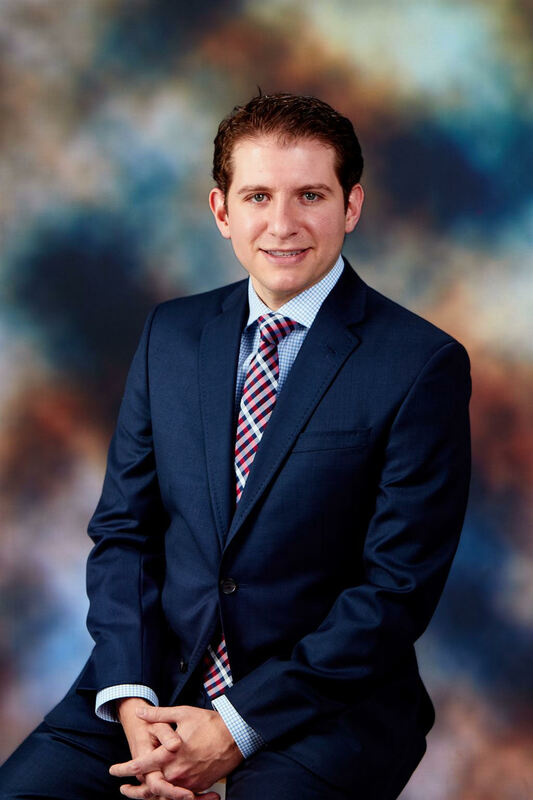 Dr. Abrahams then headed to South Florida and completed his training in Oral and Maxillofacial Surgery at Nova Southeastern University and Broward Health Medical Center. While in Florida, he trained at two busy Level-I Trauma Centers, treating a wide range of oral and facial conditions, and served as chief resident in his final year of residency. Dr. Abrahams has also published multiple peer reviewed journal articles, and presented his research nationally. Dr. Abrahams practices the full-scope of Oral and Maxillofacial Surgery with emphasis in wisdom teeth removal, placement of dental implants, bone grafting, sinus lifts, oral pathology, TMJ, facial trauma, and the administration of general anesthesia. Through residency and private practice, Dr. Abrahams has completed thousands of bone grafts and dental implant procedures. He uses the most advance techniques in bone grafting, which include the harvesting of platelet rich plasma (PRP), along with the most advanced 3D imaging and software. Dr. Abrahams continues to take hospital call at major trauma centers around the tri-state area and treats the most complex facial injuries, which include jaw fractures, orbital fractures, nasal bone fractures, and lacerations to the lips and face. With the aid of Virtual Surgical Planning, he uses the latest technology for facial reconstruction, which restores accurate facial form and significantly shortens the length of the procedure. Dr. Abrahams is a Diplomate, of the American Board of Oral and Maxillfacial Surgery and a current member of the American Association of Oral and Maxillofacial Surgeons. He has active certifications in Basic Life Support (BLS), Advanced Cardiac Life Support (ACLS), and Pediatric Advanced Life Support (PALS). He is an American Red Cross certified instructor for Basic Life Support for Healthcare Providers.